Professor Mustafa Nazıroğlu has graduated from Veterinary Faculty, Fırat University at 1991 and he received his PhD (Physiology) in Fırat University during the period of 1992-1996. Currently, he is working as Head of Department of Biophysics in Suleyman Demirel University (SDU), Medical Faculty. He has successfully completed his administrative responsibilities as Head of department, Head of Congress organization committee, director of Neuroscience Research Center in SDU. As chair of congress, he organized 1st, 2nd, 3rd, 4th, 5th and 6th biennale International Congress in World Congress of Oxidative Stress, Calcium Signaling and TRP Channels between 2006 and 2016, Isparta, Turkey. (www.cmos.org.tr). He also organized also 1st (2015) and 2nd (2017) International Brain Research school (http://www.cmos.org.tr/brs2017/en/). He served in organization committee of TEMA-14 Congress (2011), Hubei, Chine. 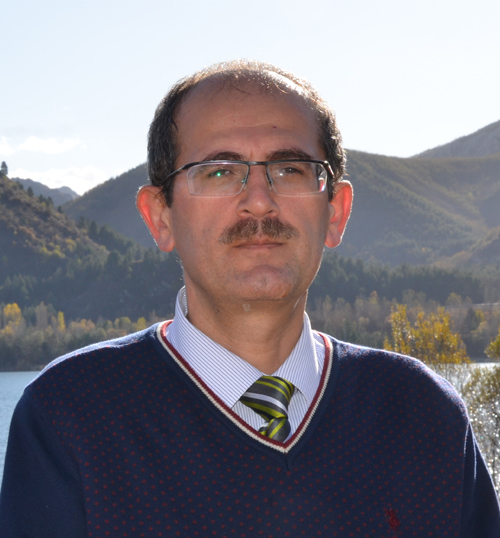 Professor Nazıroğlu is serving as an editorial member of several reputed journals like ‘Biological Trace Element Research’, ‘Journal of Cellular Neuroscience and Oxidative Stress’, ‘Scientific Report (Nature publishing)’, ‘Frontiers in Physiology’ and ‘Current Neuropharmacology (Guest Editor)’. He is also review editor in Frontiers in Membrane Physiology and Biophysics. He has been a lead speaker at drug discovery, apoptosis, calcium signaling and ion (TRP) channels conferences and other prestigious events worldwide and is a member of several expert advisory panels. He authored 201 international research and 17 review articles and 4815 citations in SCI-Thompson and 6 international book chapters (H factor is 36). He’s member of Cellular Neuroscience and Oxidative Society (Head of the society- http://www.hsord.org.tr/en/), Turkish Physiological Society and Japanese Neuroscience Society. He has honored as NATO Research Fellowship, Martin-Luther University, Halle-Saale, Germany, (1999-2000), ‘Young Investigative Scientist Award (2001), UC-Berkeley, USA, Alexander von Humboldt (AvH) Research fellowship owner (2002-2005), Medical Faculty, RWTH-Aachen, Germany, Encouragement Award of Scientific and Tech. Res. Council (TUBITAK), Ankara, Turkey (2006), Howard Hudges Medical Institute (USA) support (2009), Khwarizmi International Award (2012), Visiting Professor in Leicester University, Leicester-UK (June-September 2010), Visiting Professor in Weil Cornell Medical College in Doha-Qatar (June-September 2013), Scientific Research Award of Turkish Neurosurgery Society (2016), and Travel Award of Japan Neuroscience Society (July, Tokyo-2017), Visiting Professor in NIPS, Okazaki, Japan (July-October, 2017).